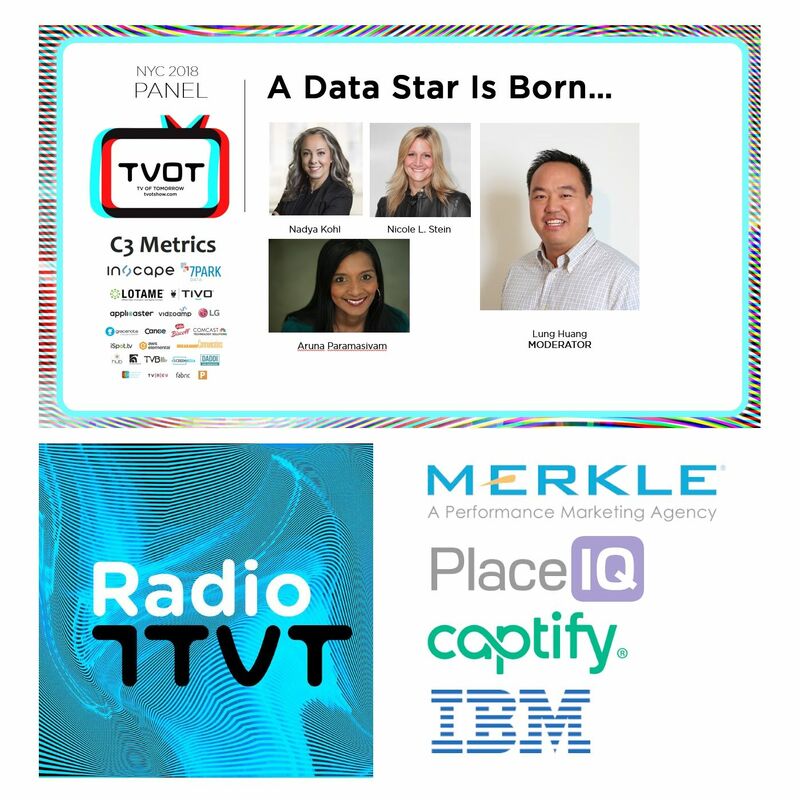 [itvt] is pleased to announce the schedule of sessions for the ninth annual TV of Tomorrow Show (June 23rd-24th at the Golden Gate Club in the Presidio of San Francisco). Tickets to TVOT 2015 (priced at $1,275) are still available for purchase here. 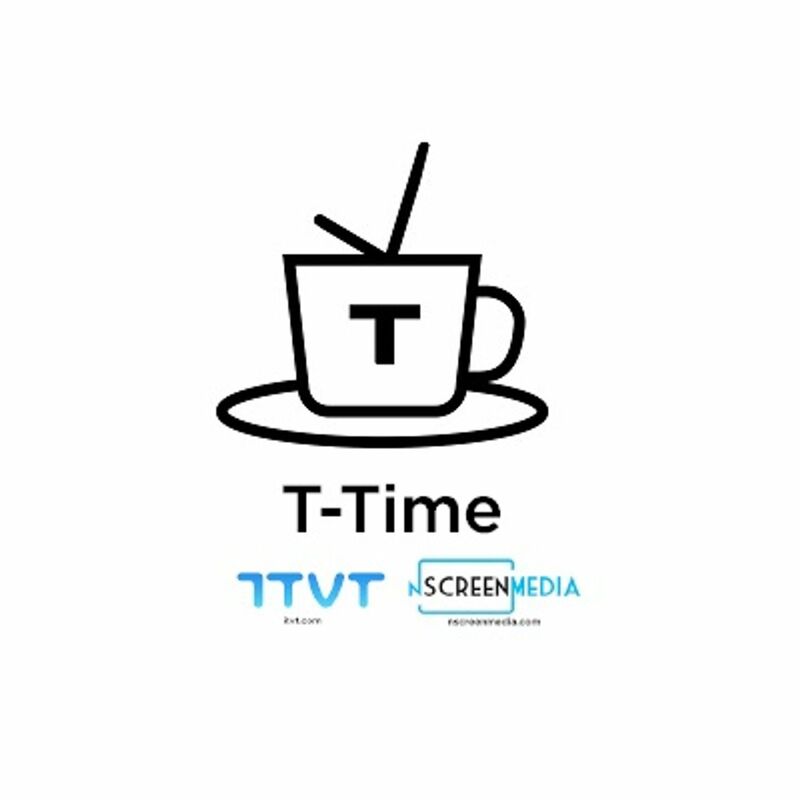 We will be announcing more details about a number of TVOT 2015 panels and presentations in an upcoming issue of the [itvt] newsletter. **Also: Stay tuned for announcements about Master Classes from Adobe, EPAM, Experian and TubeMogul! The Battle for TV Everywhere: MVPD's vs. Networks. Who Will Win? We will be announcing more details about this session in an upcoming issue of the [itvt] newsletter. Live Social Broadcasting: A New Kind of Television? Over the past few months, there has been an explosion of activity in the live social broadcasting space. Already, we are seeing the emergence of Periscope stars, such as Amanda Oleander, who has received over 16 million "hearts" on the platform and has been hailed by the Daily Mail as "the new Kim Kardashian." In addition, traditional TV programs have been using the medium to extend their reach with behind-the-scenes live-streams. At the same time, though, many in the industry are concerned that the increasing popularity of live broadcasting platforms will result in widespread piracy of TV content. The many challenges of delivering high-quality on-demand video via the Internet have largely been solved, or are at least managed. However, the challenges of finding--and retaining--a high-quality, economically viable audience are many and complex. This Master Class is created and presented by EPAM systems, an Adobe implementation partner that has deployed Adobe products in over 40 media companies worldwide. TV Everywhere, direct-to-consumer, OTT, mobile TV. In this constantly evolving digital landscape, understanding how and where consumers are watching television requires vigilance. We'll kick-off our Master Class with Joe Martin, Analyst for the Adobe Digital Index, as he unveils new research to help broadcasters, cable networks, content providers and advertisers understand the metrics and trends that will keep them on the cutting edge of streaming and monetization across video, social, advertising and mobile. Then we'll engage in a candid discussion with Ryan Currier, Head of Digital Products at Pac–12 Networks; Chris Hopkins, Senior Manager of Digital Research and Analytics at Shaw; and Campbell Foster, Director of Marketing at Adobe Primetime, to hear their perspectives on this research, as well as the trends driving their current and future digital video strategies. For a growing chorus of brands, data-driven marketing and programmatic buying are delivering quantifiable results in terms of cost savings, reduced complexity, ownership of customer data and, ultimately, brand lift. Yet these benefits are overtly absent on the biggest screens in the house: TV's. Not only does programmatic TV extend digital performance targeting and reporting insights to television advertising, but it enables holistic planning across every screen and provides brand advertisers more flexibility to shift ad dollars and optimize on reach and frequency, regardless of where a viewer is watching. With Programmatic TV (PTV), brands and agencies can buy TV ads in a way that has never been possible before today. 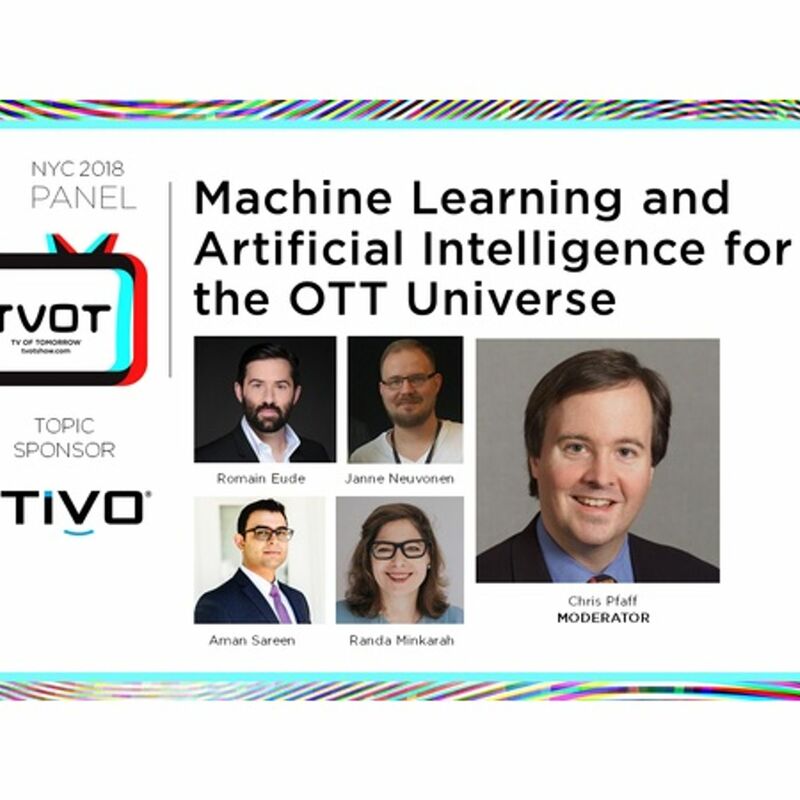 Join Bruce Mello, TubeMogul's VP of TV and Video Activation as we usher in this new era of brand advertising; answer questions on the current state of programmatic television; and discuss where we, as an industry, go from here. Questions to be addressed include: What is a useful definition of programmatic TV for brands, agencies, broadcasters and distributors? Who stands to benefit the most from programmatic TV in the near term? How about over the long term? How do current business benefits shape what solutions will be available over the next two years? What are the big barriers to growth in programmatic buying and selling of television and what's being done to address them? TV is facing an evolution: shifting viewing habits, devices everywhere we turn, and an explosion of data. This new era of TV advertising ushers in hot, trending buzzwords like "addressable," "programmatic," "cord cutting" and "audience hubs." 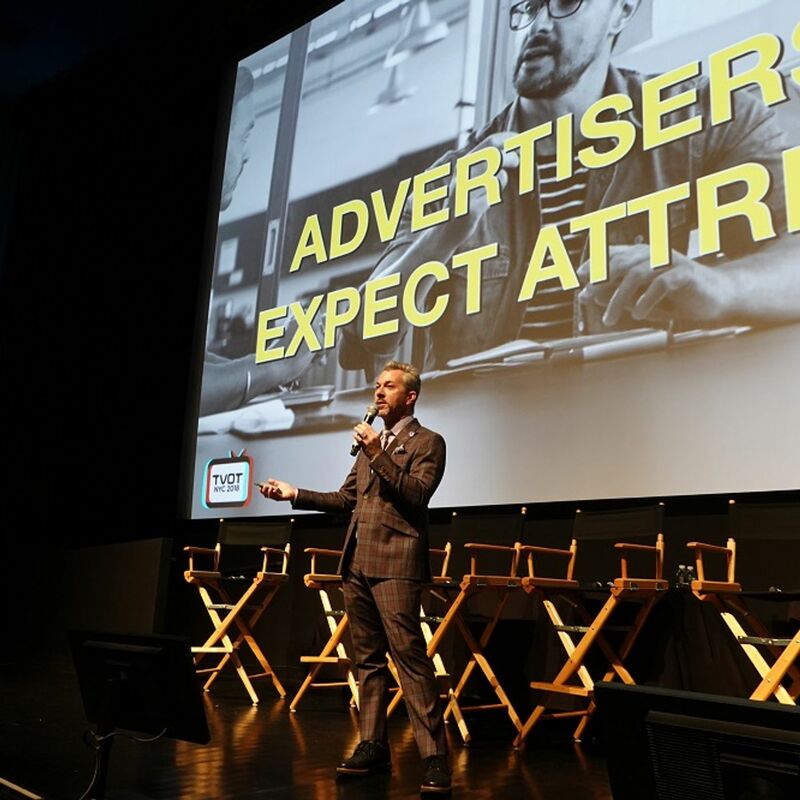 This Master Class serves as a guide to not only define current and emerging capabilities in the TV ecosystem, but also provide a lively discussion of how marketers are implementing engaging and measurable audience-fueled TV advertising strategies. Attend this session if you want to hear first-hand from Experian and its partners about the power of addressable TV, real-life success stories, and how brands are using new audience hub platforms to deliver data-fueled campaigns. Panelists will answer questions such as: What data sources work best for targeting or analytics? Is cross-channel targeting a reality? How successful are addressable campaigns? Can you show me real reports and results? What tools are you using to marry together data I can actually use? And what is the next evolution of addressable TV? This session will explore the process of discovering, managing, marketing and monetizing social-video talent (including both on-screen and behind-the-camera talent), at a time when there seems to be a fair amount of evidence that such talent has more influence on Millennials and Plurals than do established celebrities (a recent study, for example, found that 13- to 34-year-olds are more likely to be influenced to make purchases by YouTube stars/creators than by traditional TV and movie stars). TV and how we consume it are changing everywhere. In this session, Sonifi Solutions will share content and technology trends before, during, and after travel--across platforms. Insights include tracking everything from Millennials to laggards and how media behavior and trends in the home influence other environments. With TV Everywhere now fully in field (or pretty close), it seems clear that it is a strong success. TVE is seeing rapid increases in usage and, according to at least one recent research study, is a strong driver of consumer satisfaction for both networks and operators. INSIGHTS TRACK: The View from the Top: What's Keeping Howard Shimmel Up at Night? OTT distribution is no longer trending. At the speed of today's deployments of new OTT products and services, OTT has needed to mature very quickly. And while we are solving the technical and distribution questions relatively quickly, the great unknown remains: The Consumers. What will they buy? What will they use? What will they keep? How will they respond to advertising? And how are they (and we) going to deal with the hundreds of OTT options that will be available within the next 12 months? In our legacy business model, consumers had to deal with hundreds of channels in a convenient bundle. Now they have to navigate through hundreds of choices, and make a purchase, a viewing and a retention decision about each. And all those viewers represent eyeballs that we need to monetize through new advanced-advertising paradigms. People talk about the disruption of television as if this is somehow new. In fact, television has gone through at least five transformations and three implosions in its 100-year life, driven by a cast of visionaries, despots, poets and charlatans stranger than any screenplay. The best way to understand where media will go next is to understand the road it has traveled so far. This talk by USC Professor and Television Academy Governor, Seth Shapiro, walks through under-appreciated, fascinating, pivotal moments in the story of television, showing how a strange parlor trick became the most powerful medium in history, how it changed, and why. Millennials and Plurals I: TV for "Multis"
What does it take to reach young audiences set on discovering programming they can identify with, respond to, move with and use to build collective experiences? Today's Millennial and 18-and-under set, who are coming-of-age in an increasingly mixed ethnic, racial and cultural society, are driving demand for new content and formats. This session will explore how social TV is no longer simply about viewers using their second screens to chat about the shows they are watching, but instead is evolving into something much more fundamental to the creation, the marketing, the viewing experience, the measurement and the monetization of television. In the words of industry analyst, Colin Dixon, "social isn't just happening around the TV experience, in some cases it is the experience." This session will examine the ongoing challenges involved in accurately measuring and understanding TV viewership on non-linear platforms, and outline how audience measurement is being reinvented in order to take into account the growth of cross-platform viewing, time- and place-shifting, and other ongoing changes in viewer behavior. The term, "YouTube MCN," is increasingly a misnomer, as many of the leading companies in this space redefine their business as much more than simply representing YouTube channels, and embrace new monetization models beyond YouTube advertising. Programmatic TV and Video: Where Do We Stand Today? Programmatic TV and video advertising, if successfully implemented, will arguably be one of the most important developments in years for both the television and the advertising industries. Yet a brief perusal of the advertising trade press makes it clear that there has recently been some skepticism expressed about its prospects which, it is claimed, have been overhyped. According to some estimates, approximately 50% of viewers are distracted by a mobile device during commercial breaks. 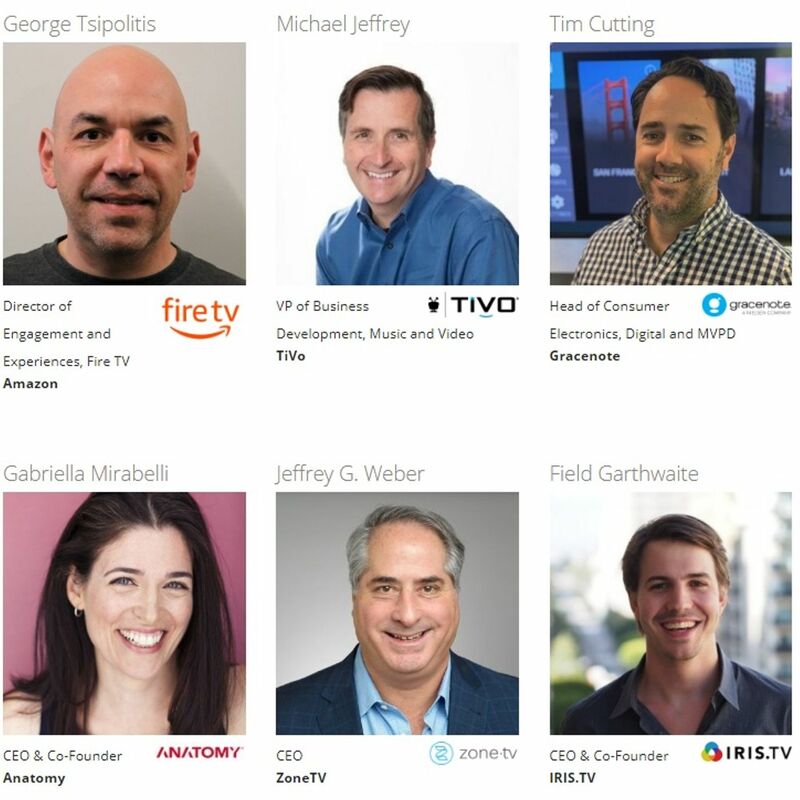 This session will explore how advanced-TV/video advertising--including interactive advertising and advertising that supplements TV campaigns with a presence across the various digital platforms that would otherwise entice the viewer away from those campaigns--is addressing this problem. A recent research report* found, among other things, that Millennials and Plurals consider online video programming "more relatable" than traditional TV; prefer watching original online programming to network and broadcast TV programming that has been made available online; and are more likely to be influenced to make purchases by YouTube creators than by traditional TV and movie stars. This and other evidence appears to suggest that established media companies and brands that are looking to stay relevant to younger viewers may not just need to make a few adjustments to traditional programming formats and distribute their content on new platforms, but may be forced to fundamentally reinvent those formats and the advertising that supports them. Increasingly, viewers are receiving their television programming not through channels but through apps, whether those apps are on a smart TV or set-top box, a PC or laptop, a phone or tablet, or (soon) even on a wearable. Yet this "appification" of TV raises a host of challenges for those tasked with powering, building and designing these apps: How do you create a viewing experience that is just as engaging and consistent on a mobile phone as on a 40-inch TV? And how do you unify multiple "appified" content sources into a seamless television experience? With the arrival of the Samsung Gear VR and Google Cardboard; with the holiday season promising the Valve/HTC Vive powered by SteamVR, to be followed by Oculus Rift in Q1 2016 and Sony's Morpheus by Q2; and with FOVE, billed as "The World's First Eye Tracking Virtual Reality Headset," seeing a highly successful Kickstarter campaign--it seems that VR, after years in the lab, has finally arrived.